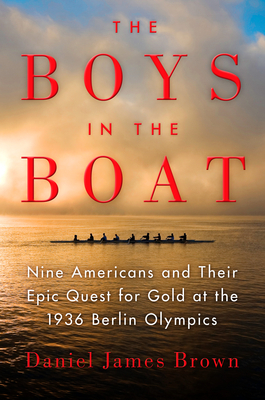 THE BOYS IN THE BOAT: Nine Americans and Their Epic Quest for Gold at the 1936 Olympics by Daniel James Brown is a thrilling story about nine young men who captivated millions of people in the United States at a time when good news was hard to come by. The United States was in a deep recession, the dust storms were exacting their onerous tolls on the mid-west and Adolf Hitler was gaining power in Germany. The main character and heart of the story is Joe Rantz. Abandoned by his family as a teen ager, Joe only chance for a college education was working part time and earning a spot on the University of Washington eight-oar rowing team. His eight teammates were a strange lot consisting of farmers, fishermen, lumberjacks and miners, a stark contrast to the elite rowing teams at eastern schools such as Cornell, Harvard and Penn. In addition to the personal stories about Joe Reitz and the other crew members, Brown tells great stories about the coach, Al Ulbrickson and famous boat builder and mentor, George Pocock. In 1936 Joe Rantz and his teammates defeated their biggest rival, the University of California, went on to win the national championship on the Hudson River in Poughkeepsie, NY, qualified to represent the United States in the 1936 Olympics and against all odds went on to win the gold medal. Author Daniel Brown does a great job of putting the narrative into a historical perspective. In addition to the stories about Seattle, the Great Depression and the Dust Bowl he writes about the rise of Hitler in Germany, Germany’s prep for the 1936 Olympics, the success of the race horse Sea Biscuit, the famous Joe Louis-Max Schmeling championship fights and the construction of the Grand Coulee Dam. Brown's detailed descriptions of the races gives the reader a basic knowledge of rowing and helps the reader understand the strategy, teamwork and conditioning required in elite rowing. He also manages to impart to the reader the suspense and excitement of each race. Although Brown does a good job of explaining the sport of rowing, THE BOYS IN THE BOAT is much more than a sports story. It’s a human interest story, a suspense story and a pretty good work of history. Anybody who enjoys a fast paced “feel good” book will enjoy THE BOYS IN THE BOAT. Thank to the publisher for providing a review copy of this book and to Booking Pap Pap for his wonderful review. I think I need to give this book my nephew, who did some rowing in college. I'm listening to this book right now and I'm loving it. Rantz was an amazing human being. Terrific review, Julie! I'm going to get this book for my brother. This book was my favorite nonfiction of 2013. I had zero interest in rowing (although I am a sports lover) going into it and Brown had me fascinated (the mark of a truly great writer in my book!). Reminded me a lot of Seabiscuit.